The Griff Network solar backsheet has dielectric properties to act as an insulator for the power generating modules. The solar backsheet is the outmost layer in the module and protects the PV cells from environmental and other external conditions that can damage the fragile PV cells. In addition, the solar backsheet has dielectric properties to act as an insulator for the power generating modules. The Griff Network provides a wide variety of sheets, films, and polymers to support the creation of high quality solar panels. Hemera is a line of backsheets based on polyvinylidene fluoride (PVDF). These backsheets are designed as an alternative for PV manufactures. Hemera is offered in a 1000VDC line. Long time industry standard construction. Hemera GPG is a white polyvinylidene fluoride / polyethylene terephthalate / white polyvinylidene fluoride based product that provides superb electrical, physical, thermal, and barrier properties. Hemera GPG is engineered for use in photovoltaic backsheet applications. Unique bonding layer for superior bonding to encapsulant. Hemera GPE is a white polyvinylidene fluoride / polyethylene terephthalate / encapsulant primer based product that provides superb electrical, physical, thermal, and barrier properties. Hemera GPE is engineered for use in photovoltaic backsheet applications. Hemera EPAG 1000 is a polyvinylidene fluoride / Aluminum Foil / polyethylene terephthalate / encapsulant primer based product engineered for use in photovoltaic backsheet applications. Hemera PE 750 is a white polyethylene terephthalate / white encapsulant primer engineered for use in photovoltaic backsheet applications. The standard in quality and performance, these Tedlar® based laminates are manufactured with the highest quality dielectric (PET). This line is offered in B500, the 1000VDC. Long time industry standard construction. Hyperion TPT is a white polyvinyl fluoride / polyethylene terephthalate / white polyvinyl fluoride based product that provides superb electrical, physical, thermal, and barrier properties. 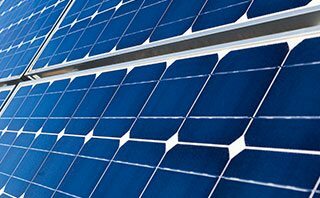 Hyperion TPT is engineered for use in photovoltaic backsheet applications. Unique bonding layer for superior bonding to encapsulant. Hyperion TPE is a white polyvinyl fluoride / polyethylene terephthalate / encapsulant primer based product that provides superb electrical, physical, thermal, and barrier properties. Hyperion SB is engineered for use in photovoltaic backsheet applications. A superior bonding laminate for masking and outlining PV cells and interconnects. An excellent alternative for thin-film PV. Hyperion EPE is a laminate of encapsulant primer / polyethylene terephthalate / encapsulant primer engineered for internal masking and backsheets for photovoltaic modules. Available in white, black, clear, and custom colors. Frontsheet films made from ECTFE are used in place of glass to reduce the weight of photovoltaic (PV) modules or to allow the construction of flexible PV modules.